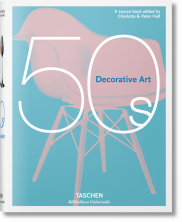 Step into the 1950s world of postwar design, the decade of the Eames Chair and the Nelson Lamp and one that championed latex, plastic, and fiberglass. An adaptation of the annually published and highly coveted Decorative Art, The Studio Yearbook, this volume examines how architecture, interiors, ceramics, and furniture design thrived in the West, reflecting an age of revival and optimism. 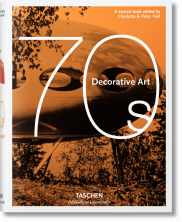 TASCHEN’s Decorative Art series, whose six installments span the 20th century through to the 1970s, carefully reproduces the best of Decorative Art, The Studio Yearbook. 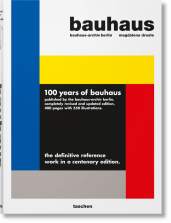 Published annually from 1906 until 1980, the yearbook was dedicated to the latest currents in architecture, interiors, furniture, lighting, glassware, textiles, metalware, and ceramics. Since the publications went out of print, the now hard-to-find yearbooks have become highly prized by collectors and dealers. 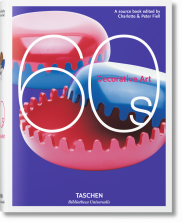 Preserving the yearbooks’ original page layouts, TASCHEN’s Decorative Arts books bring you the authentic experience of each decade’s design trends and styles. 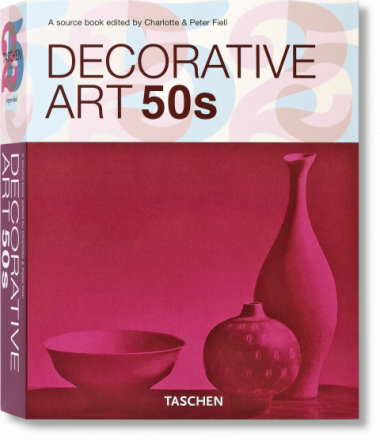 Decorative Art 1950s explores the spirit of optimism and the fervent consumerism of the decade. Technology and construction had been enervated by research during the war and these discoveries could now be applied in peacetime. 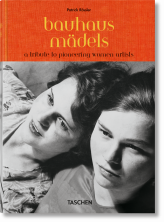 The popularization of plastics, fiberglass, and latex literally shaped the decade. Rising incomes and postwar rebuilding on both sides of the Atlantic led to a massive housing boom in the suburbs and in the inner cities, and these new homes reflected the new style. 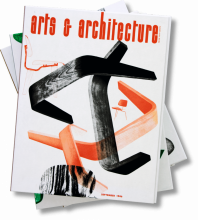 While European design was extraordinarily inventive, American design was looking to an idealized vision of the future—between them a modern idiom was developed that can be seen vividly on these pages. 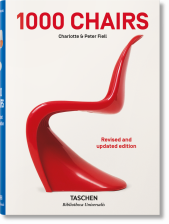 This overview of the decade includes the work of such famous innovators as Charles and Ray Eames, George Nelson, Hans Wegner, and Gio Ponti.